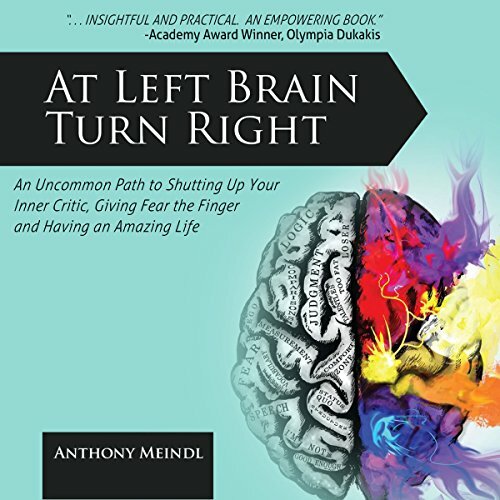 Showing results by narrator "Anthony Meindl"
An Uncommon Path to Shutting Up Your Inner Critic, Giving Fear the Finger & Having an Amazing Life! Fifteen weeks and 25 ways to unleash your inner Brando, Einstein, and Shakespeare. The most successful and creative people in the world don't possess anything different than you. They have no magic formula or special secret. They've simply prevented the left hemisphere of their brain - the "logical", analytical side - from sabotaging their life. Whether you're a ballerina or banker, accountant or actor, At Left Brain Turn Right shows you how to silence the noise of your left brain, ignite your creative side, and live the life you've always imagined. Do "inspirational" audiobooks often leave you feeling uninspired? Does your spiritual practice take a backseat to The Walking Dead? Do all the self-help books you binge on end up becoming self-help audiobooks that gather dust and never get their bindings cracked? 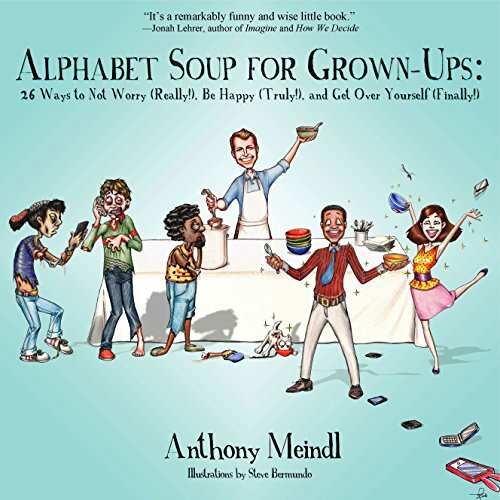 Alphabet Soup for Grown-Ups: 26 Ways to Not Worry (Really! ), Be Happy (Truly! ), and Get Over Yourself (Finally!) is an audiobook that just might change your relationship with the most important person in your life: yourself. For everyone. For all times.